As we move into 2014, we are seeing a lot of wonderful improvements in our market and we are also still seeing some of the lingering effects of the Real Estate bust. As you might have heard, our number of sales declined from last year and our average price of our homes that have sold have come down a little. There is still some fear in the market but this seesaw recovery should continue to improve over the next several years. All in all, the market is doing much better. A lot of our sellers ask, “What should we expect if we put our home on the market?” First, we should see 4 to 8 showings in a period of 3 to 4 weeks and an offer. If we don’t get that, a great Realtor will be able to tell you exactly why you have not received an offer. The market is generally responding in 3 ways in this recovering market. The 1st way the market can respond is that the buyers won’t come see us. As long as your agent has a great marketing plan, the cause will be price. If the buyers don’t see enough value to get off their couch or out from in front of their computer, you won’t get any showings. 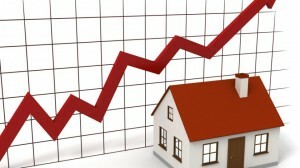 The second way the market responds is they buyers come see us but then they buy another house. That means the competition beat us. The third way the market responds is they come see us and they stop and buy us. That means we won, we beat the competition. One of the best things we are seeing in the recovering market is our selling time is coming down, buyers are more active and if you price competitively, stage well and market aggressively, you will sell.